Thanks to everyone who came to support the #northwestsweet16 yesterday. It was great to see that underground hip-hop is still viable in Seattle, even with all the changes we’ve seen over the last couple years. Last night was super fun. First off congrats to Krubel Bekele “Buckshot” from Unleashed for taking the Sweet 16 bracket. Was great to see him finally take the championship. Not only does he get the Sweet 16 title, but Geoff Reyes will be flying him out to Florida for the UBL championship in July. Big ups to Luis Tfs Bowzee for taking second place in the 2v2 AND the Sweet 16 bracket. I’m sure all of us were wondering how he would have done had he only entered one bracket. For the 2v2, we had Byron Jay Donaldson and Dann Vital taking the W as Egyptian Cotton. For our all style champs, we extended two invites to two champions, Crownz and Squidgit (spelling?). 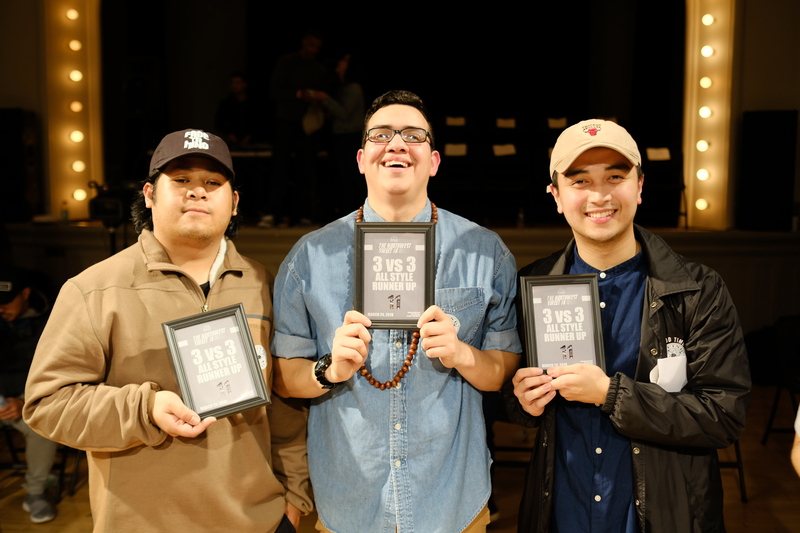 Other notable competitors were Keltin Martin from Calgary, Mo Ramirez from Portland, Jermine Bulaong with the flavor, Sevrin Emnacen-Boyd, Samson, and a bunch more. Josh Laquian and Thomas Dominique Chung are working hard on the footage as we speak, they will have footage posted on the B-boy Network Channel asap: https://www.youtube.com/user/BboyNetwork. Many thanks to the production team, couldn’t have done it without them. Judges: Eric Mpwo, Daniel King Reds Rojas, Anthony Kornnut Okino, Dufon Smith Orb, Victor Tran, Natasha Gorrie, Florentino Francisco, Chris Kaku Brothers. Djs/sound: Sean Lee, Khoi Quan, Tracey Wong, Drop B Angers. 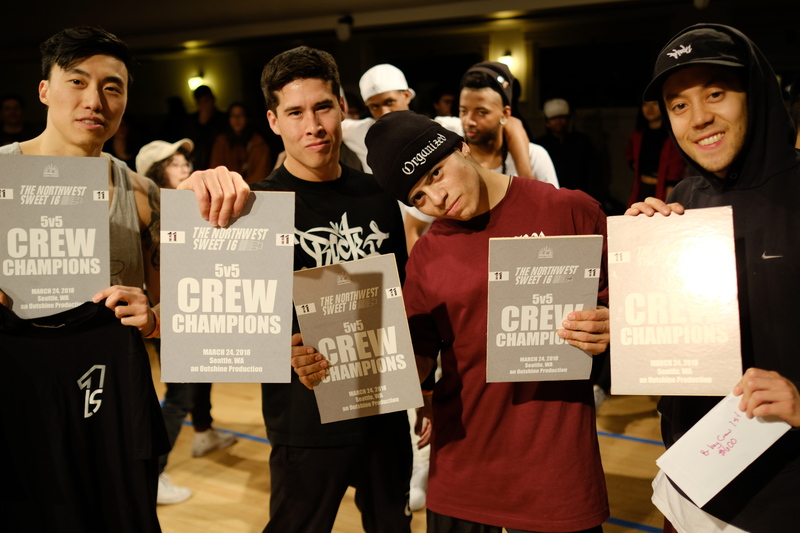 Photo/Video: Josh Laquian,Thomas Dominique Chung, David Cuerpo Jr. MC: Joe Ricci. Door: Kimi/Mary Lee. It’s that time of year again! This year’s Northwest Sweet 16 will once again feature the best that the NW has to offer. 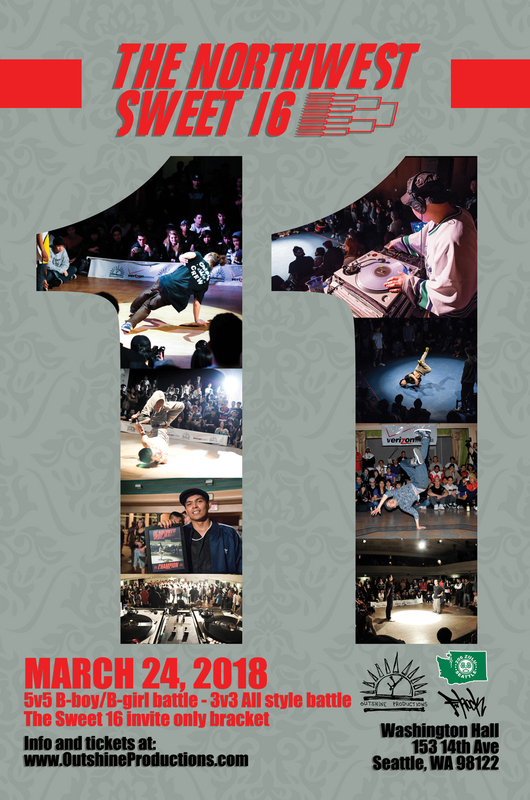 With new and returning competitors, a 2v2 b-boy crew battle, and a 1v1 all styles battle, get ready for some amazing dancing! Tickets will be $15 at the door, no pre-sale this year. Check out event page HERE. We are happy to announce the continuation of the Northwest Sweet 16 into the 11th year. This year will mark a change in the structure of the competition. In order to make the process more decentralized, more than half of the competitors will be sourced from prelims. We believe this will make the choices less political, as our board members will have less choice on who competes in the final. Prelims will take place in Vancouver, Seattle, Eastern Washington, Portland, and Alaska. With the exception of Alaska, each prelim will have an invited 8 bracket, in which the winner will represent at the finals, and an open 1v1 bracket for anyone to enter, in which the winner will represent at the finals. Event page HERE. 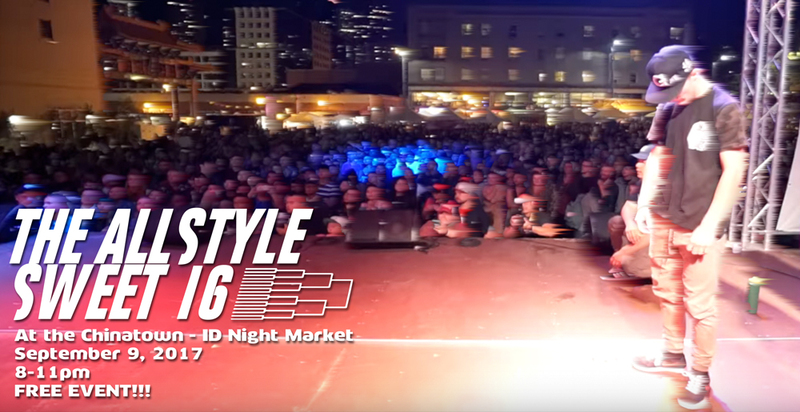 We will once again be hosted the All Style Sweet 16 at the Chinatown/ID Night Market this year. It will be our third year hosting at this marvelous event and needless to say, we have an amazing lineup!!! Check out our event page HERE to see the lineup and details for the show. 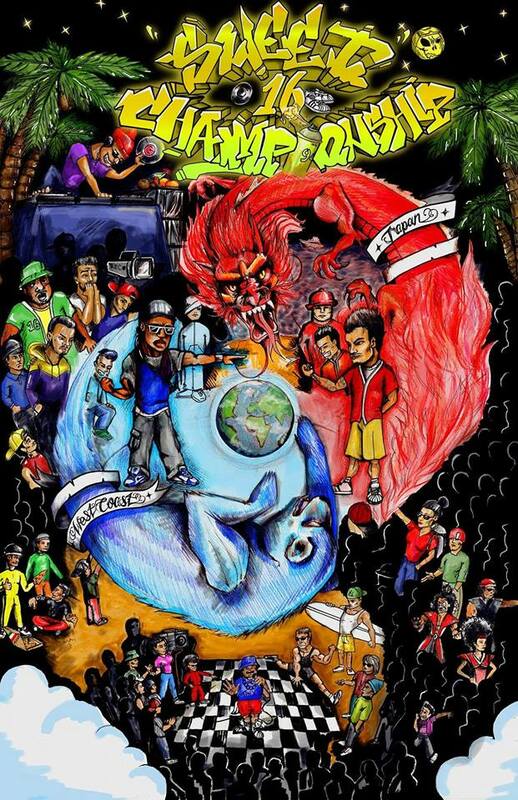 It was an honor to see some of the most talented b-boys in the world get down against each other. 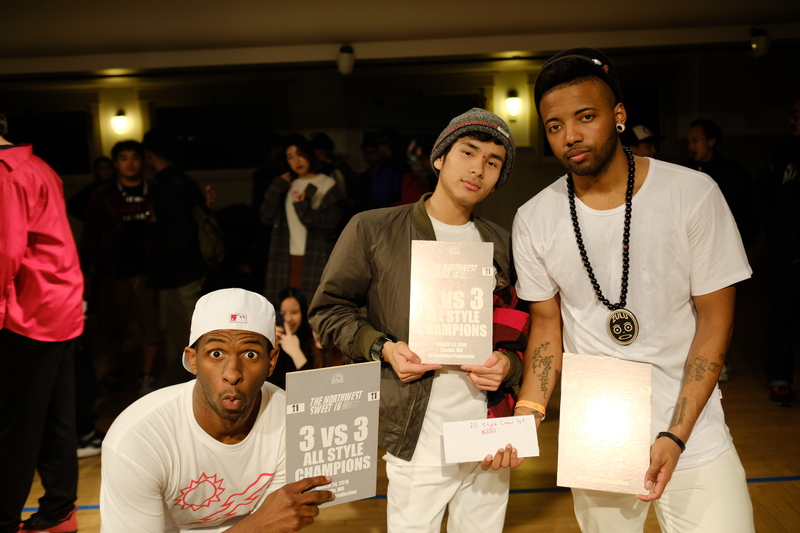 The final battle for the Sweet 16 Championship was between Milhouse from Drifters Crew, Korea and Yosh from Gun Smoke Breakers, Japan. This year will mark our first year of the Sweet 16 Championship. 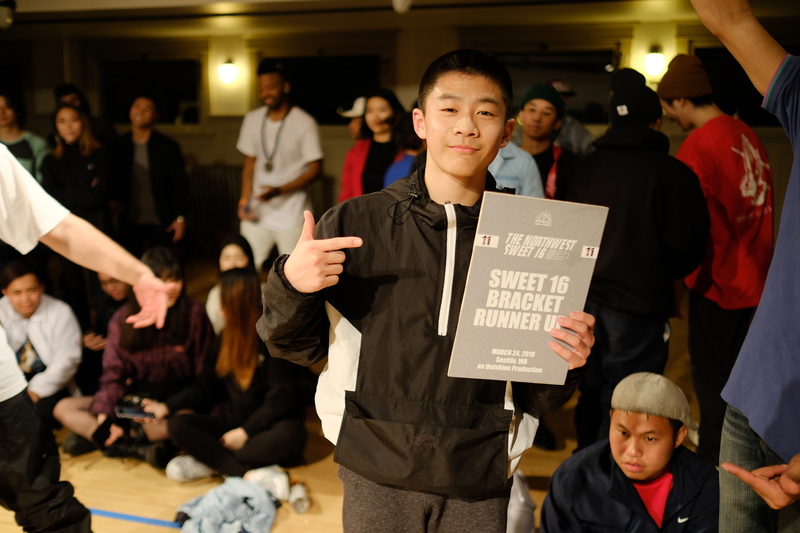 A combination of winners from the Sweet 16s we have around the country and world, and invites for premiere b-boys/b-girls from around the world. For details and sign ups, please visit our Facebook page here. For details visit our event page here. The Sweet 16 was definitely the highlight for the event this year. Brendan Boxcutta throwing some incredibly intricate footwork combos, Philip Kim hitting some amazing blow ups, Dann Vital doing his unique style the whole night, and of course Ives Viray for blowing it up and taking the entire event. Flooridians in the all style comp couldn’t be touched, and had some of the best crew dynamics I’ve ever seen. 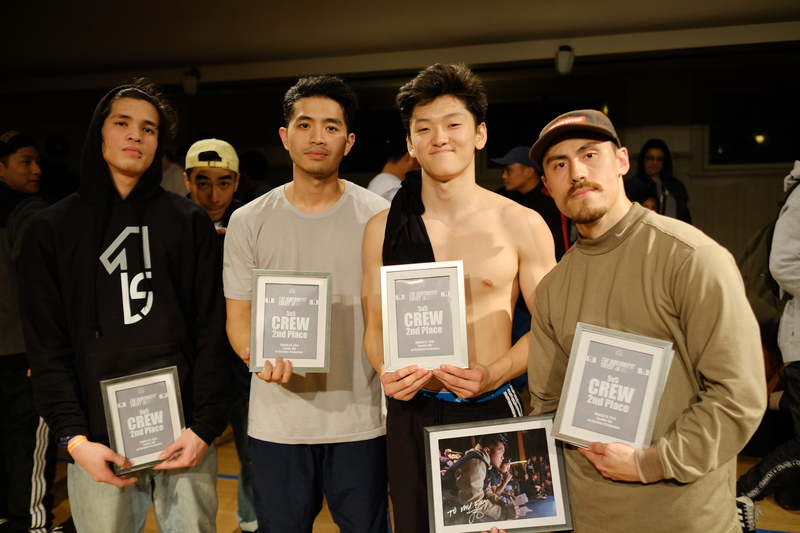 Massive Monkees once again won the b-boy crew comp with strong solos and routines that overpowered everyone else. The Power King Exhibition did not disappoint either, thanks to Bryan Fishy Nguyen, Alejandro Luna-Juliano, Matt Wong, Khang Nguyen for taking the time to rep.
Lastly I wanted to thank everyone who has helped to put this event on over the last ten years. The Northwest Sweet 16 has always been an event for the Northwest, by the Northwest. It has been great to see the dancers and community members take ownership of the event. I’m sure I’m forgetting a couple people, please don’t take offense as my brain is fried from yesterday. Ricky Chon for co-founding the event and then bouncing like a little punk. Andrew Oledan for being waaaay cooler than Ricky Chon. Sean Fish Boogie for always coming hard with the beats. Joe Ricci for being ring girl and being a true partner in crime. Hosts throughout the years keeping the energy flowing: Niko, Jireh, Joe. Djs shaping the jam with vibes: Fish, Andrés Digg One, Soul Rane, Kitman. Tracey Wong and Jensine San for helping with the all style tip. Kitty Wu and King Khazm Kogita for holding it down at Zulu and Washington Hall. Everyone who has participated in the Sweet 16 and battled in the crew comp, or just friggin showed up for that matter. And of course everyone who helped with the little things that added up to big things: Kimi, Miles, Sandy, Brendan, Sushen, Andrea Mercedes McCaw, Lee Nagy, Ana-Beth, Marcus Sharpe, Remi M Street. I’m sorry to say this jam has taken it’s toll on me mentally, physically, and financially. I’ve made the decision to only do it in the future if I have sponsorship, meaning, there could be one next year or this could have very well been the very last one. I’d like to keep it yearly, but I simply don’t know how likely that is. In the case this was indeed the last one, from the bottom of my heart, everyone, thank you thank you thank you….